General mowing and landscape duties. Must have reliable transportation. Experience a plus, but will train. Smoke and drug free workplace. Seeking gardener with good plant knowledge. Duties include planting, mulching, trimming of shrubs, weeding. Flexible hours. Landscape construction and maintenance crew leader. 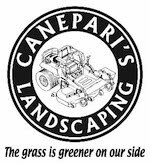 Please be experienced in all aspects of landscaping. Hoisters, CDL and or applicators license a plus. Pay will be based on experience and licenses. Must be good with people and be able to manage less experienced workers. Drug and smoke free workplace, must pass drug screen and physical.